Nick joined the ReederVogel staff in 2017 as our Associate Account Executive. 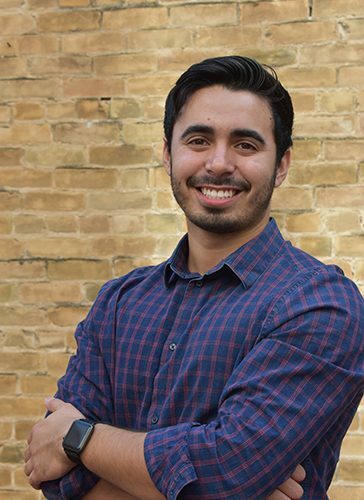 An El Paso native, he moved to San Antonio to attend UTSA, earning his degree in Communication with a minor in Business Administration and a special focus in Public Relations. Nick brings with him great listening skills, expert levels of organizational skills, and a huge appetite (literally, he has “second lunch” every day) for communicating effectively with clients and media outlets to ensure all of their needs are met.